If you live in a high-wind region, you're likely familiar with the damage that can be caused by events like hurricanes and tornadoes. Fortunately, there are steps you can take to help protect your home. Building to meet or exceed code requirements can significantly influence how well your property withstands the next big storm. 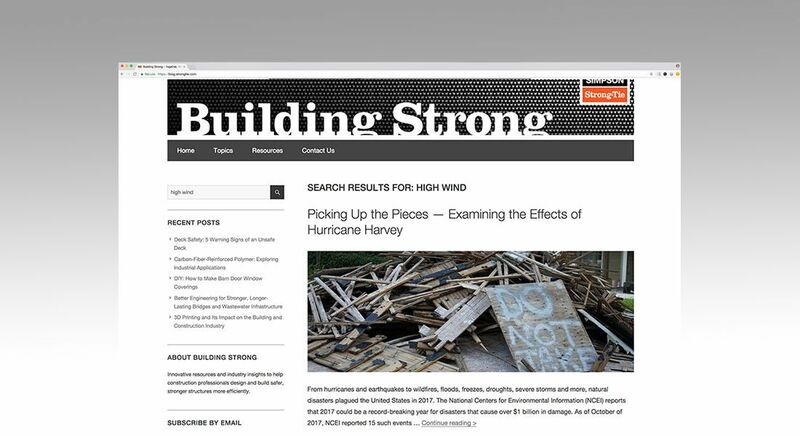 We invite you to learn more about how high winds can affect structures, and what you can do to increase your home's resilience. 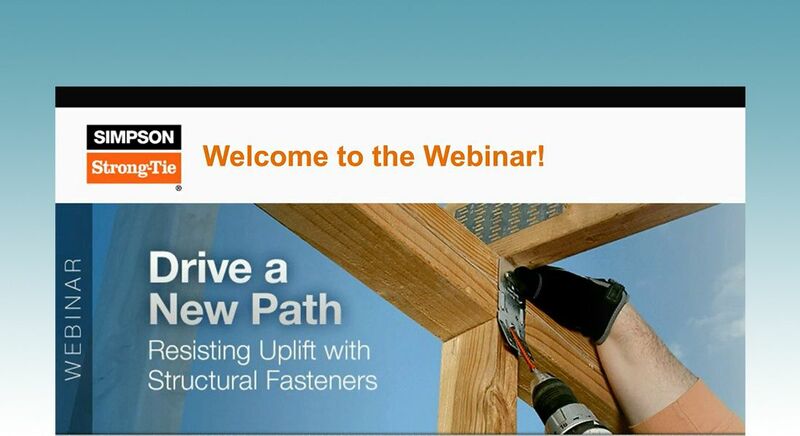 Strengthening the structural frame of your house includes creating a "continuous load path" within your home. So what is a continuous load path? 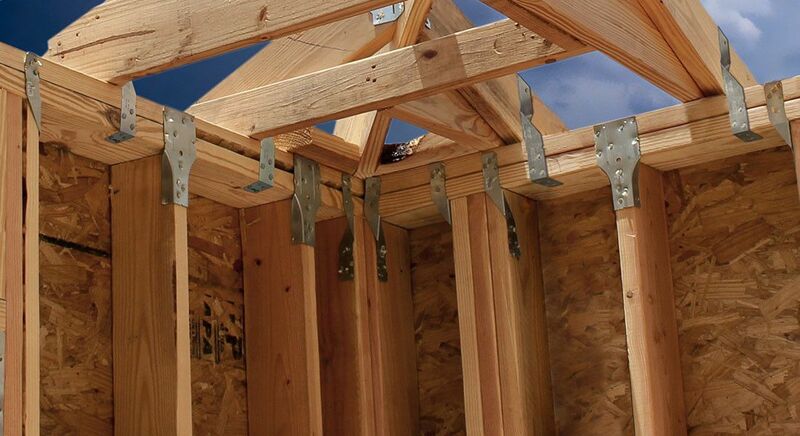 It's a method of construction that uses a system of wood, metal connectors, fasteners (like nails and screws) and shearwalls to connect the structural frame of the house together. A continuous load path is like a chain that ties the house together from the roof to the foundation. 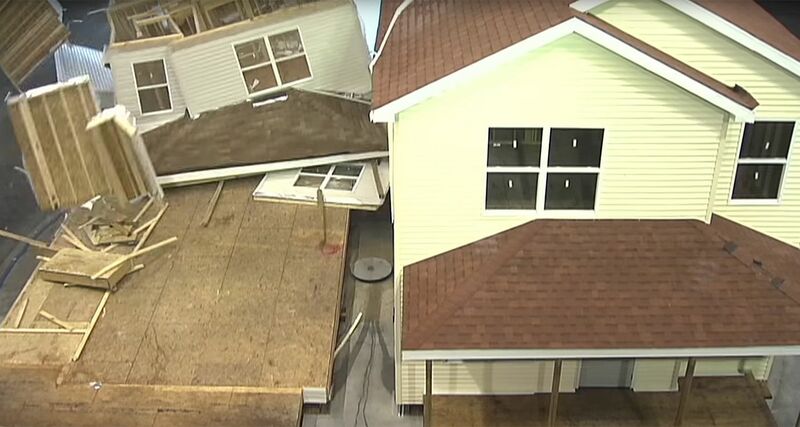 A continuous load path is critical during an earthquake or hurricane because it helps hold the house together when ground forces or high winds try to pull your home apart. 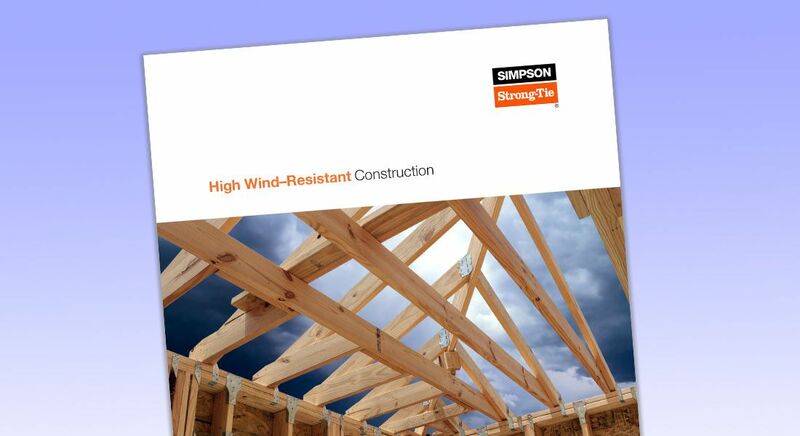 A home is more likely to withstand a seismic or high wind event and stay intact when all parts of the house — roof, walls, floors and foundation — are connected together. Although building codes require homes to be built with a continuous load path, not all parts of the country follow these national building standards. The age of your home can also help determine whether it has a continuous load path. Older homes, built before 1985, typically do not have a continuous load path. 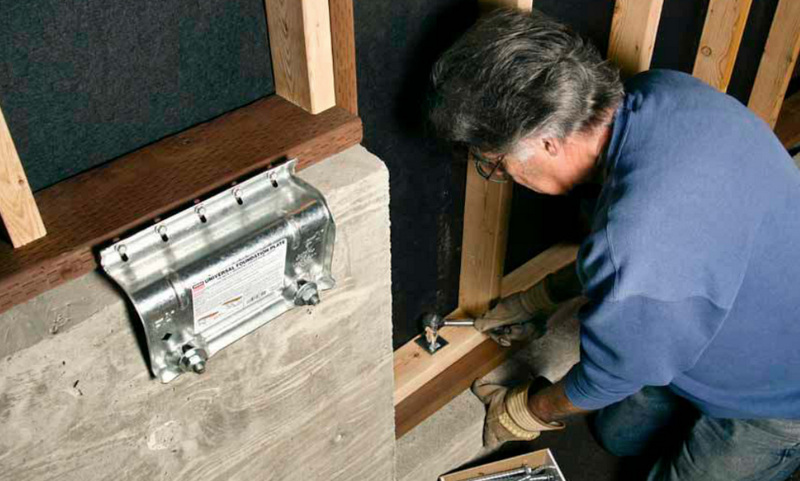 To learn more about connectors and continuous load path construction, see A Well-Connected Home Is a Smart Home. As we've seen with the recent hurricane seasons, homes are not always built to withstand a major storm. Hurricane Katrina was one of the deadliest and costliest hurricanes in U.S. history. Homes and buildings were severely damaged, if not destroyed, leaving thousands of families displaced. It will take years for communities to rebuild and recover from such devastation. Fortunately, there are solutions that can help protect your home from a hurricane or high wind event. Building your home to meet or exceed code requirements can have a significant impact on whether your home withstands the next big storm. Many parts of the country follow the International Building Code, which establishes and governs design standards for new home construction. If properly enforced, these codes help strengthen homes and protect them from storm damage. We invite you to learn more about high winds and hurricanes, how they affect your home and what you can do to increase your home's storm resistance. Now that you've decided to take steps to protect your home from natural disasters, these recommendations from the Insurance Institute for Business & Home Safety (IHBS) and the Federal Alliance for Safe Homes (FLASH)® can help you select trained and qualified service providers. IBHS FORTIFIED Home Program Protect your home from natural disasters by using FORTIFIED Home construction standards and methods. IBHS FORTIFIED Home Program (Listings) Find a trained FORTIFIED service provider in your area. FLASH Strengthening Homes & Safeguarding Families The nonprofit Federal Alliance for Safe Homes (FLASH®) is the country's leading consumer advocate for strengthening homes and safeguarding families from natural and manmade disasters. NOAA Sea Grant Homeowners Handbooks Sea Grant is a Federal-University partnership program that brings science together with communities for solutions that work. 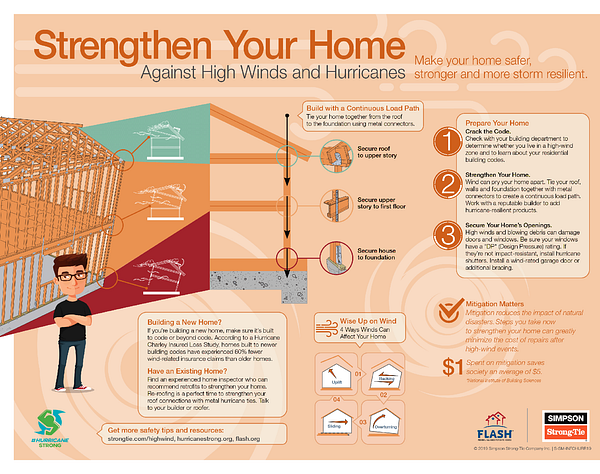 South Carolina Safe Home Initiative Homeowners can apply for a grant to strengthen their homes for high wind events.